Although soy is touted as one of the healthier options in the modern diet, there is actually quite a bit of evidence to the contrary. Your body is going through quite an ordeal when you put soy into it. 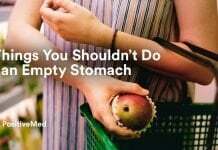 Here are some of the reasons that you may want to reconsider having it in your diet at all. Soy is a grain that has been tampered with by corporations. If left completely to its natural state, soy might have had the potential to be considered a healthy food in some cases. However, the same mutations that corporations have imposed on other grains and legumes have also infected soy crops around the world. In order to increase the yield of the crop, soy has been modified from its original state into one that is causing more health problems than it actually solves. RELATED ARTICLE: Soy: Healthy Or Harmful? goes way up when there is any traceable amount of soy in the body. Completely opposite of being a healthy food, soy will actually tell your brain that you are still hungry even when you have more than enough calories. 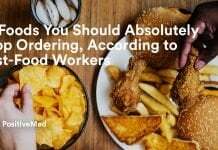 This will lead to you possibly eating more junk food. Even if you stay away from junk, having too many calories for your lifestyle will only lead to weight gain and lethargy. 2.Phytates are extremely high in today’s soy. Phytates are a substance that bind to heavy minerals such as zinc, iron, calcium and magnesium. When phytates are attached to these otherwise helpful minerals inside of your body, your body becomes completely unable to access them. This means that soy may actually be blocking out the benefits that you would be receiving from the rest of your diet. Aside from being high in phytates, today’s soy is also especially high in goitrogens, substances that severely limit the ability of the thyroid gland to use iodine in the body. If the body cannot properly use iodine for extended periods of time, then hypothyroid problems can be the result. 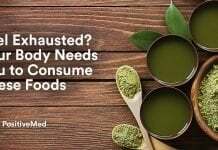 There are so many people in the world with this problem that many cultures have come to think of thyroid problems as normal, but many of them do not know that it is actually the soy that is causing the problem! Hypothyroid problems cause weight gains because of the slower metabolism it causes. It also adds to a feeling of low energy. You may feel cold much of the time if you have hypothyroid problems. Your immune system is also very weak, meaning that you will catch just about any virus that is floating around in the air. If you have any of these rather telling symptoms and your intake of soy is relatively high, then you may want to consider scaling back on your intake and seeing a doctor immediately. Unlike other vegetables with a high level of goitrogens such as broccoli, cabbage, and cauliflower, cooking soy will not remove any of these negative effects. 4.Protease inhibitors in soy can cause digestive problems. 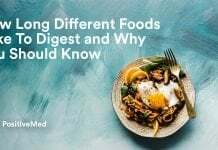 Although many people switch to soy in their diet in order to avoid harsh digestive products such as cow’s milk, the truth is that soy is not much better on the digestive tract than cow’s milk. The protease inhibitors that are prevalent in soy tend to block the enzymes that are in your body specifically to digest certain types of proteins. This is not the only problem that this inhibitor can lead to. 5.Men who eat too much soy may fall victim to the overload of estrogen. The isoflavones in soy bring a huge amount of estrogen into the system. This is especially dangerous in men, as raised levels of estrogen will always correspond with lowered levels of testosterone. This will lead to lower physical activity, an accumulation of fat around the waist area, general loss of energy and stamina and the highly embarrassing physical symptom of gynecomastia. RELATED ARTICLE: The Truth Behind Soy: Could Soy Cause Acne? However, too much estrogen is not healthy for women either. It can disrupt periods and actually limit fertility. 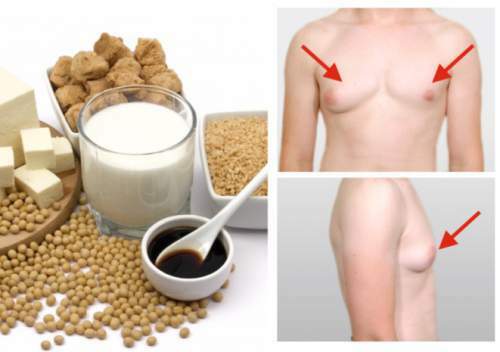 Finally, too much soy in the diet has been linked to increased probabilities of breast cancer in women. Soy in newborns is a definite no- no. Stay away from baby formula preparations that advertise their high soy content. This is especially important if your newborn is a boy; the problems described above for men will only be exponentially worse in a newborn boy. Previous articleShould You Let Your Adult Child Move Back Home?